I recently reblogged an article from The Conversation about how awesome the Harry Potter books are, but how snobby (some?) literary people are about them. 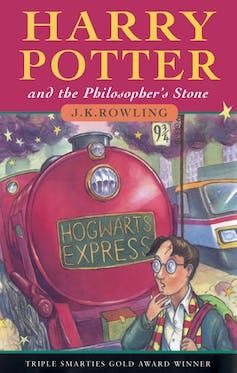 The vitriol and chastisement of the Harry Potter books remind me of a time when I too was not on the Potter bandwagon. Oh, how wrong I was. Stupid kid’s books. It’s just The Worst Witch with a Chosen One narrative. That’s not literature! And once again we come to my favourite book chest thumping topic. How worthy is Harry Potter and how wrong have the snobby people been about it? Mostly the arguments revolve around Rowling not having the correct goals in her writing. Of course, these supposed goals are rather arbitrary and change depending upon who is deciding what Rowling’s goals should be. Because apparently writing an entertaining book series that sells hundreds of millions of copies, has devoted fans, promotes laudable social principles, and got some kids reading books who wouldn’t have otherwise isn’t enough for some people. They also tend to expect the world from the Harry Potter books, something that I’ll delve into further below. Do I need to explain why that is such second-rate writing? If I do, then that means you’re one of the many adults who don’t have a problem with the retreat into infantilism that your willing immersion in the Potter books represents. It doesn’t make you a bad or silly person. But if you have the patience to read it without noticing how plodding it is, then you are self-evidently someone on whom the possibilities of the English language are largely lost. Source. Ugh. I’ve got two words for you, Nicholas Lezard, and they are what your mum should have said to your dad on that fateful day. There is so much to unpack in that small quote. Lezard starts by insulting fans of the books, then says he isn’t insulting them, then insults them again. Someone who could write a paragraph such as this is self-evidently someone upon whom the possibilities of the English language are largely lost. He’s insulting the use of speech identifier verbs whilst failing to understand the audience and style being utilised. If you expect YA to be using the same style as the Man-Booker winners you’re gonna have a bad time. But why insult fans, young and old, of the series? Why insult Rowling? Although she is probably insulated from such lowly criticism in her gold-lined money castle. He didn’t like something, he can critique it, but he is forgetting that a literary critique stands on the argument, not insulting people for disagreeing with him. This speaks poorly of Lezard and other such critics. In a previous post, I discussed literary people defending Fort Literature from the invading Lesser Works. But this is Lezard leading a charge against the peaceful village inhabited by the Lesser Works. He has marked himself the despotic bigoted scourge of Fiction Land, seeking to crush all those who would dare be different from him. But in keeping with the intricately plotted novels themselves, the truth about Harry Potter and reading is not quite so straightforward a success story. 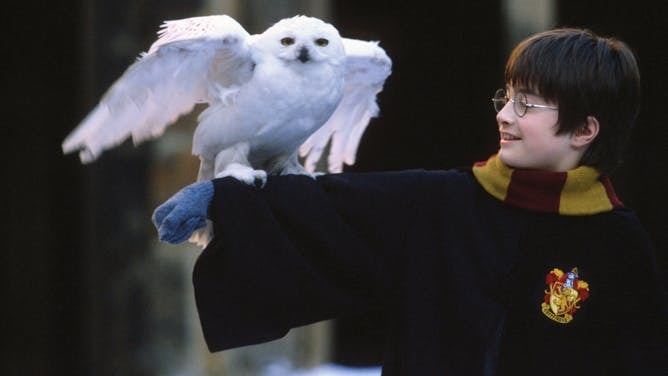 Indeed, as the series draws to a much-lamented close, U.S. statistics show that the percentage of youngsters who read for fun continues to drop significantly as children get older, at almost exactly the same rate as before Harry Potter came along. Source. Of course, the problem with this argument is that it requires one series by one author to change the lives of all kids worldwide… The article itself cites the series as having sold 325 million copies worldwide in the decade since the first book’s release (a third of that in the USA alone). Out of the 1.9 billion kids and 7 billion people in the world that means only 17% of kids, or 4.6% of people have bought a Harry Potter book (because nobody ever bought the whole series, or two copies of one of the books, or saw a copy in a library). To put that 325 million copies for the entire series in perspective, roughly 175 million people paid to see A film in the cinema that was tenuously about cars. A similar number paid to see the final Harry Potter film. Let’s face it: reading isn’t that popular. Let’s break this amazing phenomenon down a bit further. There have been several studies that have looked at readers, particularly kids, and how many of them have read the books. 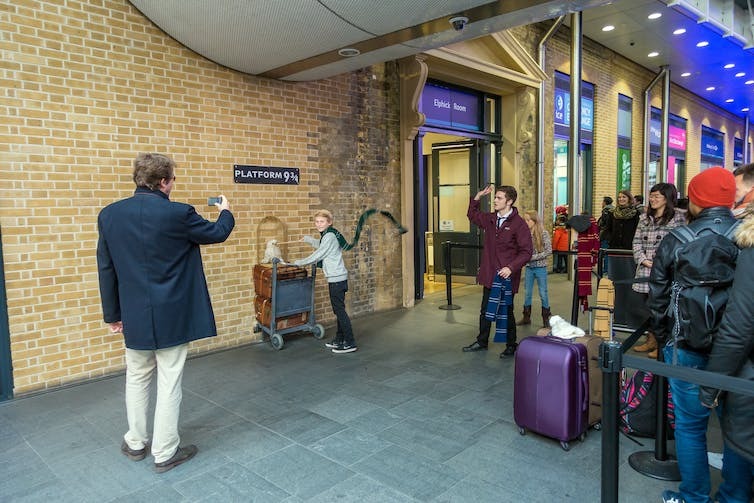 This is a small survey of children (N = 233) looking at Harry Potter fans, but is consistent with other studies and with a Waterstones reader survey the researchers used to validate the small study. You can see that most kids had read the first book, but that quickly dropped off as the series continued. The studies showed that only 25-35% of kids had read all 7 books in the series, with the average fan reading 3.98 books in the series. Another thing to note is that studies have also found that 46% and 49% had read a Harry Potter book. Or to put it another way, over 50% of kids hadn’t read any Harry Potter books, and many had only tried one (usually the first one). The most popular book series of all time still isn’t read by a majority of people. But what about JK Rowling’s influence on reading? This study was of only 650 kids, but it does illustrate that particularly amongst secondary school kids that they were inspired to read. More books, more difficult books, and more fiction – and if someone can point out the difference between non-fiction and fiction I’d much appreciate it. 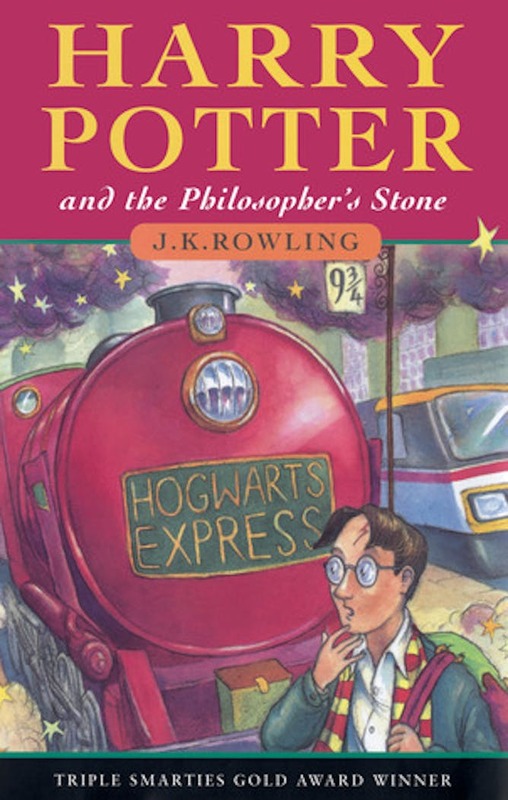 Many, though not all, of our enthusiasts consider the Potter books a major contributor to both their self-identification as readers and their wider literacy development. Perhaps the most striking change they reported was the confidence and motivation to try more challenging books or more books in general. Thus, the Potter books—particularly the thicker ones—acted as a “Portkey” or “gateway,” transporting readers into the world of more mature fiction. Source. The increasing complexity and length of the books were cited in both studies as giving people confidence to grow as readers. But it was also noted that one of the reasons given for not reading all of the books in the series was also the increasing complexity and length. In other words, you can’t please everyone, especially not kids. Unless you have ice-cream. And the kids aren’t lactose intolerant. So the problem isn’t that the books are second-rate, nor that they aren’t encouraging people (kids are people too) to read. The problem is that even the most popular book series ever is going to have a limited impact. 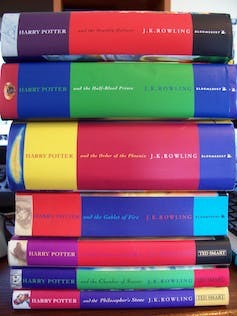 Rowling has managed to connect with a huge audience – for a book – which has had positive impacts on readers, such that they are more likely to go out and read more books, even the more complex books that keep the literary snobs in a job. It is a big ask to expect one book series to have improved literacy rates. At the risk of labouring the point – any further – most people don’t read, and most people who do read won’t have read Harry Potter. The problem isn’t Rowling failing to inspire people enough. It isn’t that she wasn’t a good enough writer. The problem is that people love to make lazy attacks on genre fiction. They don’t want to admit that reading is not that popular and that what we have been doing is probably not encouraging new readers. At least Rowling was on the right track.